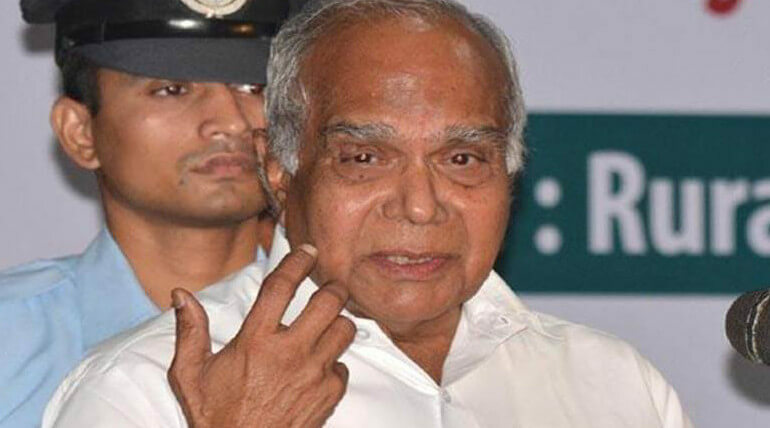 Tamil Nadu Governor Banwarilal Purohit security car met with an accident today on the way to Chennai from Cuddalore. The car hits 2 persons walking on the road side. Governor's security car had hit 2 pedestrians near Mamallapuram, 2 were died and one woman injured on the spot. The died persons were identified as Suresh (33) and Karthikeyan (10). He had reviewed the places in Vandipallayam in Cuddalore district. He had also made some cleaning works in the spot. As a 2 days visit, Governor also hold an interactive session with representatives of political parties and the public on Friday. During his works, it is said he had opened the cover strip of the bathroom. Unfortunately, an young lady was bathing and she shouted on his presence. This unfortunate incident made him to vacate the place and on the way to Chennai his security car met an accident that claimed 2 lives.